We at Tabar, believe in helping our community reinvent their organisations using agile, lean and systems thinking principles and methods. 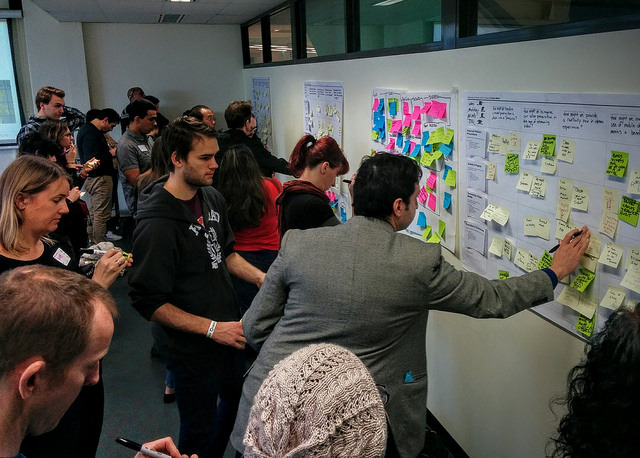 Founded in 2008, this group is one of Melbourne's longest running and popular agile meetups. Usually occurring on the last Wednesday of the month, a wide variety of topics have been discussed, giving a forum for many of the most experienced agile people in the community to share their knowledge. It also provides a useful way for those new to agile concepts to learn. This group is a community of business analysts who operate or want to operate in agile projects. Analysts and people interested in becoming or working with analysts are welcome. It meets on the second Tuesday of each month at various locations in the CBD. This group is a community of practice, specifically for project managers who are working with agile teams, projects and companies. It is held on the third Tuesday of the month.